Exploring - Being - Eating - Be your true self! In this transformative workshop ‘Be your true self!’ we invite you on a (inner) journey of exploration to unplug from the complexity of daily life, and connect to your voice inside. You will be exploring your own life story, finding out about your potential, connecting with your dreams and understanding how to be your true authentic self by letting go of who you think you should be. Your partner will team up with the other partners in a cooking workshop. Our Italian chef will take you on a culinary adventure, going to markets, exploring new recipes and cooking most delicious slow food. All will be served for lunch where we all meet again. 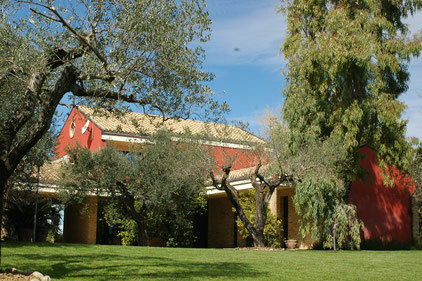 We will stay in a wonderful villa in the country side of Abruzzo, in the heart of Italy. You will be sharing in family traditions and enjoying the slowness and passion of Italian life and culture. In the afternoon there will be sufficient free time for walks, cycling, going to the beach, sightseeing. 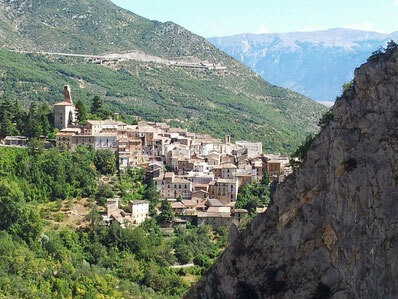 slow – slowness – slow food – enjoying life family tradition – culture – passion – cooking creativity – inspiration – exploring – Italy - unplug – resting – nature– reflection. To understand where you are in life, you have to look back at the path you have walked. All your experiences on your life journey have brought you where you are at this moment. By self observation in a non-judgmental way (awareness) you will be able to get insight in your values, beliefs and habits. Potential is something we are all born with, it is the divine part of life. Living your life is also about finding out what this is. Finding your way, your direction, your purpose for being here. The road you walk is depending on the destination you choose. Without destination or direction you don’t know which road you are on. How does life unfold and who is the director? Choosing a destination helps you realize your dreams. We need a destination in life to give meaning to today. The quality of life is about the choices you make, not about the conditions of your life or expectations of others. Bringing the above 4 pillars into practice. What are you going to give your focus and energy to? We will be working with storytelling, creative exercises, meditation, yoga and reflection. Why combine this with yoga? Everybody can practice yoga and meditation. Regardless age or fitness level, we all benefit from it. You get to know your body and mind and simply feel better and healthier. You learn to release tensions and deal better with stress. Observing yourself in yoga and meditation will teach and help you to get out of your habitual patterns and calm down the mind. You learn how to keep your concentration and discover an ever present inner peace. 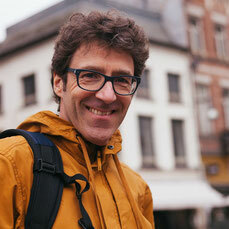 Gert-Jan de Hoon is an accomplished transformational coach, speaker and guide, author of A pilgrimage to Santiago, co-author of Walking in the Rain, founder of Voyage Beyond and co-founder of Foundation Anders Bekeken. He leads workshops worldwide at unique locations. 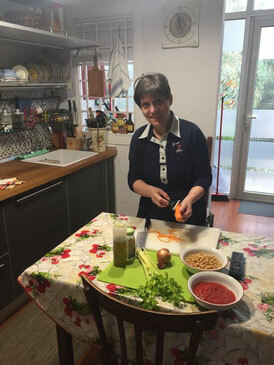 Loredana De Angelis (La Callarella) works as a personal chef for events and private occasions, specialized in Abruzzese cuisine. Typical dishes are cooked with simple, quality ingredients in respect of old local traditions. Ingredients range from lamb, pork to fish. All meals will be prepared with seasonal products from the local market. Loredana invites you at her kitchen table. 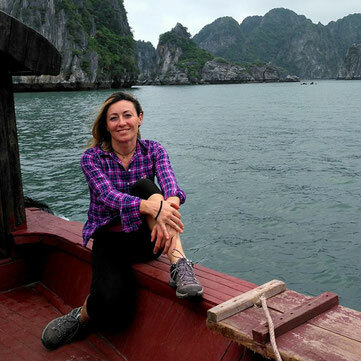 Nathalie Sissa is a internationally qualified yoga teacher and she has established a unique style which incorporates her passion for flow and movement, including long vinyasa inspired sequences. The classes are mostly inspired by Ashtanga and Vinyasa. 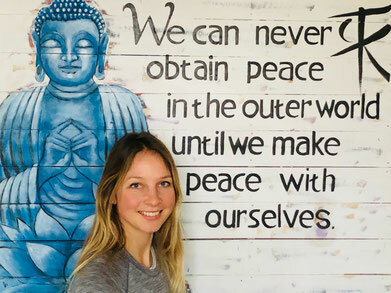 Nathalie provides a nurturing approach to teaching and an engaging environment surrounded by essential oils, candles, natural sounds and music. Gianna Crisanti has been in hospitality for over 20 years. Her unique talent is making people feel completely at ease and being an almost perfect host. 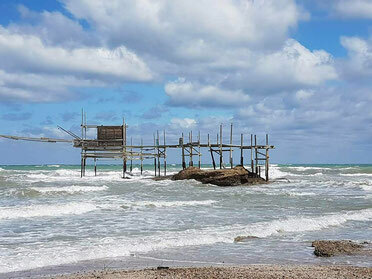 She is proud to present Abruzzo, the heart of Italy, as the place to visit. To explore and experience authentic Italian village life, go trekking into the mountains or taking a boat trip to Tremiti island. She is the perfect organiser for a prolonged stay before or after the workshop.